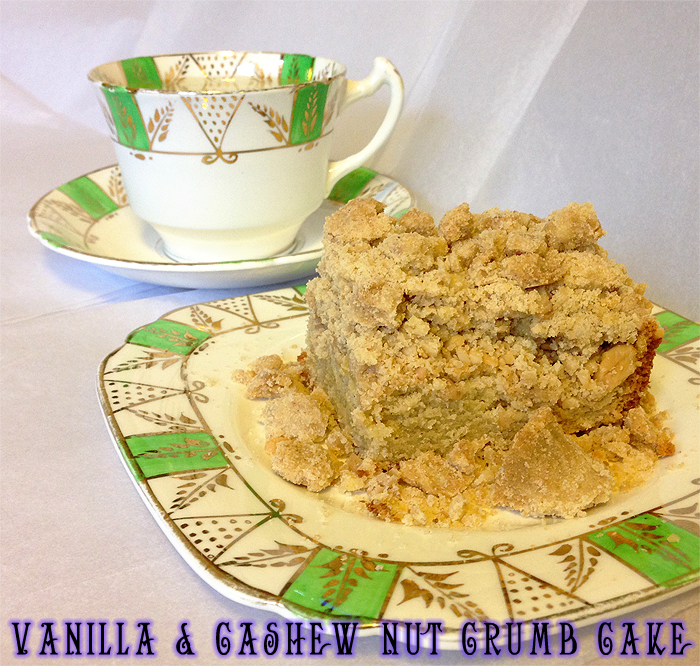 Recipe : Vanilla & Cashew Nut Crumb Cake - Sugar, Darling? 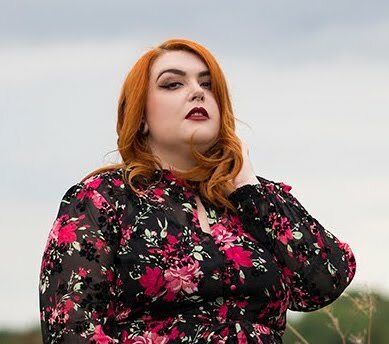 Before I properly started to write this blog, back when it was a bit of a pipe dream that I didn't know how to move forward with, I had a baking business. It did quite well and I even started making cakes for a local department store's coffee shop. As wonderful as this was, it got a bit repetitive and dull making mostly the same things all the time and as it was on top of my full time day job I grew to resent it a bit and was actually rather pleased when it came to a bit of an unceremonious end. Unfortunately this left me with a bit of a lack of love for baking and for quite a while I didn't really do any, unless someone asked me for a birthday cake or something special they particularly wanted. Thankfully now I've got my baking mojo back and can again enjoy baking as a relaxing way to pass the weekend. My latest try was making a crumb cake, something that I've done quite often before but put a little twist to this time. Crumb cake is fabulous, it's literally a lovely moist cake base piled high with crumbs made the same way that I make topping for a fruit crumble. Usually I either add nuts to the crumb topping or a later of jam or fruit on top of the sponge but this time I decided to amp up the vanilla flavour with some bean paste rather than extract and add a layer of chopped, salted cashew nuts on top of the cake batter base. It worked a treat and was just lovely with a cup of coffee, and best of all? It's really easy to do! Makes 9-16 pieces depending how generously you slice! Put the sugars and cinnamon into a bowl and give it a whisk until they're well combined. Pour in the melted butter and give it a good whisk until mixed, then add the flour and stir again this time with a spoon or spatula until you have a thick almost dough like paste. Set aside to cool. Preheat the oven to 170C and grease and line an 8" x 8" square tin leaving an overlap of baking parchment so it's easier to list the cake out when cooled. Put the flour, sugar, baking soda and salt into a bowl and mixed until combined, then add the softened butter at a little at a time mixing well after each addition. When all the butter is in keep mixing until you have a uniform texture and there are no big pieces of butter left. Now add the egg, egg yolk, yoghurt and vanilla and mix well for at least one minute until the mixture becomes lighter in colour and is a nice soft fluffy texture. Pour into the tin and smooth over the top, then sprinkle over the chopped cashews. Now grab your cooled crumble topping and take pinches of it and drop them all over the cake in little chunks, just like a crumble topping. When all your mix is used pop it in the oven and bake it for 35-40 minutes, rotating the tin after 25 minutes. If your crumble topping is starting to brown too much before the cake batter is cooked then just pop a sheet of foil or baking parchment over the top and this will stop it scorching. The cake is ready when a cocktail stick pushed into the centre of the cake comes out clean with just a few crumbs. If it comes out with liquid batter on, it needs another ten minutes! Once cooled cut into pieces and serve - I like it best with a good cup of coffee!